From the age of four, Angel Whisperer Kyle Gray has been blessed by the presence of angels. They stood alongside him as he developed his talents to become the UK's youngest professional psychic medium at the age of sixteen. In this book, Kyle takes the reader on an emotional and uplifting journey into the world of angels. He reveals his own beautiful and inspiring story of learning to communicate with the other side, which started when his beloved grandmother passed over. This communication was to become his vocation and purpose, and Kyle is now known for the startling accuracy of his readings. 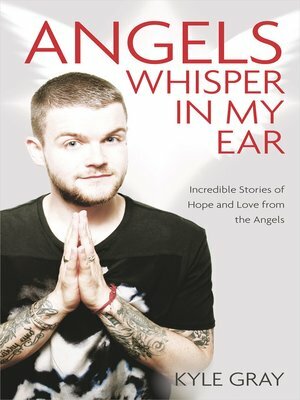 Drawing on his years of experience helping people to share the wisdom and messages of the angels, Angels Whisper in My Ear teaches you ways in which you too can make your own connections, change your ways of thinking and finally achieve everything you have ever dreamed of. An intensely personal and moving book, it offers comfort, wisdom and practical advice that will help transform your life.